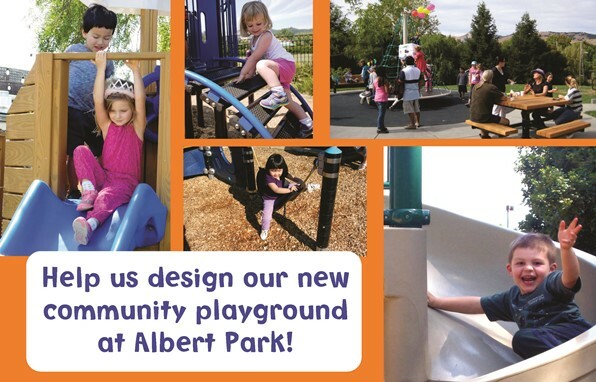 The City of San Rafael is redesigning the playground space at Albert Park and we want to hear from you! Come learn about the project and provide us with your ideas. Talk with the architect, Phil Abey, and City representatives who will provide an overview of the project, including a timeline and preliminary designs. Take our survey and visit us on Facebook! The survey has been closed – check out the survey results.